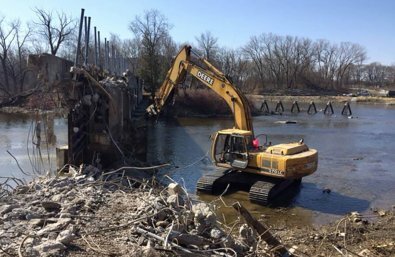 Milwaukee County will conduct a detailed hydraulic and structural evaluation of alternatives to repairing the Estabrook dam. The evaluation will help inform an Environmental Assessment of the dam and goes beyond what is typically required in an EA. The information generated through the more rigorous analysis will help ensure that a recommendation for repairing or abandoning the dam fully addresses safety, recreational, water quality, and habitat issues.